The lowly beet wasn’t always the boring, ignored or even hated vegetable that it is for many people today. In ancient times, some even held it in such high regard that they considered it a worthy offering for their gods. In legends, supplicants offered the Olympian god Apollo beets at his Delphi temple. Delphi was the home of the famous Delphi Oracle, who could predict the future with Apollo’s blessing. Wild beets grew along North Africa, Asian and European seashores and were cultivated by the Romans. Apicius, a Roman gourmet chef who wrote The Art of Cooking, included a beet salad with mustard vinaigrette recipe in the text. Core and slice the apples covering them with lemon to keep from turning brown. Add the apples to the beets and coat with the dill dressing. Place the salad greens on plates. Arrange the apples and beets on the greens and sprinkle the pecans over the top. 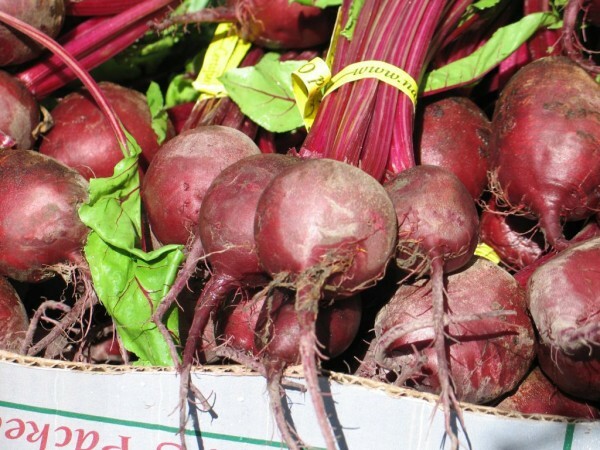 In the beginning, beets were valued more for their medicinal properties then as a food. The beet has historically been used for blood cleansing and blood building. Because beets build up the red corpuscles, they have a long history of being used in anemia treatment. Beets have been used to benefit the kidney, bladder, spleen, liver and colon. They have also been used in treatment of constipation, acne, low blood sugar, heart disease and cancer. Beets became a large contributing part of Utah economy between 1890 and 1920. The sugar beet was a way to have that sweet taste without the very high price. In 2009, 20 percent of the world’s sugar was extracted from sugar beets. In 2009 and 2010, the U.S. was the second largest producer of beet sugar. Beets are so popular and well liked in Australia that McDonald’s created a McOz burger. They added a sliced beet to the burger. The beet is typically the main ingredient in the every popular borscht of Eastern and Central European countries. One of the most common ways people see beets is of the pickled variety. Beets are the secret ingredient in some sweets and have been used in cake and ice cream. Beets are perfect if you are looking to color something red naturally. It will even stain your hands if you are not careful. Now that we have talked a lot about the root of the beet, let’s not forget the green part. Beet greens are higher in iron but should be eaten in small amounts because they are also high in oxalic acid. Beetroots are good source of magnesium, iron, vitamin B6, folic acid and fiber. The beet belongs to the same family as spinach and chard. The most common beets are of reddish hue. They do however come in a variety of colors including gold and white. Beets are grown in about 30 different states and can be purchased year round. The peak season to buy beets is June though October.